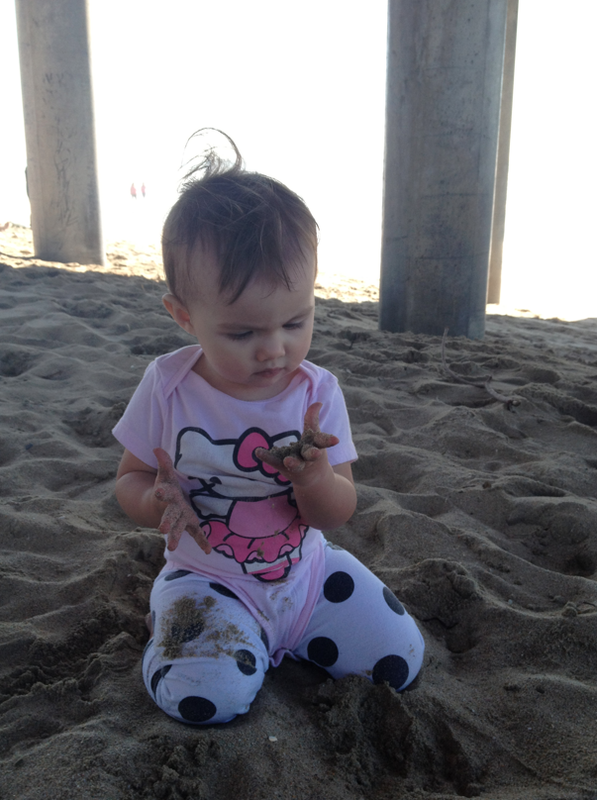 It's so fun to feel the sand under your feet....or in your hands! the best part is she didn't even try to eat it...she just admired it, then put her little handful back on the beach. Her outfit is a Hello Kitty onesie from Old Navy...and her polka dot leggings are from a Disney outfit, that I can't remember where we got it, maybe Ross or Marshall's...but the top has a big scratchy bow, so we never wear it. We no likey, the scratchy clothes. 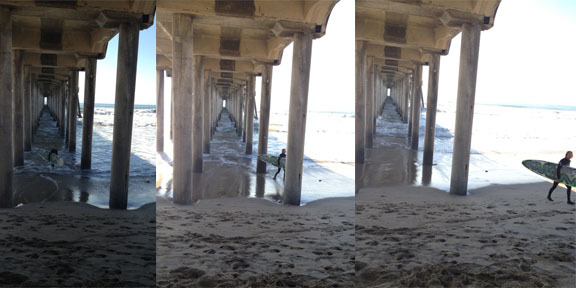 And this was a cool sequence of pictures...I didn't even notice until I uploaded them, that I got this surfer dude, walking out of the water. He even stopped to wave and say hi to the baby..he couldn't believe she wasn't trying to eat the sand either! He said, "whoa, I've never seen a baby just playing like that and not putting handfuls of sand in their mouth!" PS. Redonkulously nice weather in Southern California...it feels like summer in January. People in bikinis on the beach, but I'll still wear my clothes. Today, made me really missed living near at the beach. 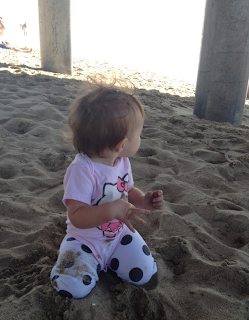 And we had a thorough sand removal and hand washing after we spent our few minutes on the beach!